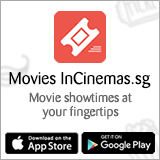 InC - Watch the trailer of Singapore's first zombie movie! Home / Everything Else: Video / Watch the trailer of Singapore's first zombie movie! Set in an army camp, a lazy reservist soldier (Alaric) and his commander (Benjamin Heng) have to fight to survive a zombie outbreak. The film was almost ten years in the making. Nine years ago, director Jacen Tan, who has made numerous comedic short films such as the viral hit Tak Giu (Kick Ball) and Tak Giu (Kick Ball), penned the script of Zombiepura inspired by his time doing guard duty in National Service and feeling like a zombie. Together with co-producers and actors Alaric and Benjamin Heng, they pitched the project to several investors, but to no success. But with the commercial success of Jack Neo's Ah Boys to Men franchise as well as the zombie apocalypse thriller Train to Busan, their project looked more commercially viable. Co-produced by mm2 Entertainment, Clover Films and JAB Films, the zombie action comedy was shot in January this year and will be released in late October.